The industry has made major advances in terms of safety standards and regulations. However, accidents involving vehicles and mobile equipment, many of which are preventable, still occur and continue to be a source of concern. According to the most recent reports, filed by 45 members of the International Association of Oil and Gas Producers, there were 30 incidents leading to 33 fatalities in 2017. The report's findings prompted IOGP executive director Gordon Ballard to comment: "It's encouraging to learn that we have had fewer fatalities than ever in global upstream operations, but even a single death is one too many. It's also worth emphasizing that there was no real reduction in the number of fatal incidents." Collisions caused by blind spots and poor visibility due to adverse weather conditions, site workers being struck by vehicles or mobile machinery, and hearing protection inhibiting workers' ability to hear approaching vehicles are all examples of hazards that can be prevented with the aid of the latest safety technology fitted to site vehicles. 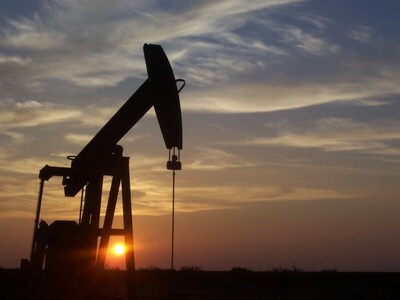 The oil and gas industry consists of three major sectors: upstream, midstream, and downstream. Upstream is the process of extracting the oil and refining it. Midstream involves the transportation, storage, and wholesale marketing of the petroleum products. Downstream is the commercial side of the business, such as gas stations or the delivery of oil for heat. Long-distance truck journeys, on-site machinery and heavy plant equipment all pose a danger, particularly in terms of blind spots. Safety camera systems, such as Brigade Electronics' best-selling Backeye®360, allow drivers to keep a close eye on blind spots at the back and sides of their vehicle so they can instantly see vehicles, cyclists or pedestrians on the road. This intelligent four-camera technology is designed to eliminate vehicle blind spots and assist maneuverability by providing the driver with a complete 360 degrees view of their vehicle in a single image. The system combines images from four ultra-wide-angle cameras, providing a real-time view on the driver's monitor. The result is a 'bird's-eye-view' of the vehicle and surrounding area, with no blind spots. Radar obstacle detection technology can detect stationary and moving objects even in the harshest of environments. It gives the driver an audible and visible warning when objects are within a certain distance. Distances can be programmed to suit different-sized vehicles and applications, from 6.5ft to 33ft in width and 10ft to 98ft in length. Radar obstacle detection is suitable for both on and off-road applications, so even on petroleum equipment it offers first-class protection, preventing collisions and saving lives. Vehicle camera systems enable drivers and operators to maneuver and drive safely. Vehicle-mounted CCTV cameras can help the driver to see blind spots and aid reversing by delivering a live feed on the monitor of everything in the camera's view. In harsh conditions, where visibility may be reduced due to a build-up of grit and dirt from roads or work sites, shutter cameras are available. When the camera is not in use, an automatic cover will protect the lens. Camera monitor systems can offer superb durability whatever the environmental conditions and operate at temperatures as low as -40°F. Ideal for the oil and gas industries. Warning alarms are audible devices to alert pedestrians and workers when a vehicle is maneuvering. Unlike traditional 'beep beep' tonal alarms, which can be almost impossible to pinpoint, the 'ssh-ssh' of Brigade Electronics' innovative bbs-tek® White Sound® can be heard clearly by workers wearing ear protectors. It uses smart technology to adjust sound levels in line with the ambient noise in the immediate vicinity. In adverse conditions, for example if rain is pounding down, the warning decibel level will be increased. White Sound® uses a wide range of frequencies, enabling the listener to instantly locate what direction the sound is coming from. The oil and gas industry has made great strides in its attempts to address safety concerns in the workplace. However, even one accident is one too many. By utilizing the latest technology and products, organizations will help to improve safety and keep workforces safe.